This is the first of four bios I am going to write about my Thurston ancestors. 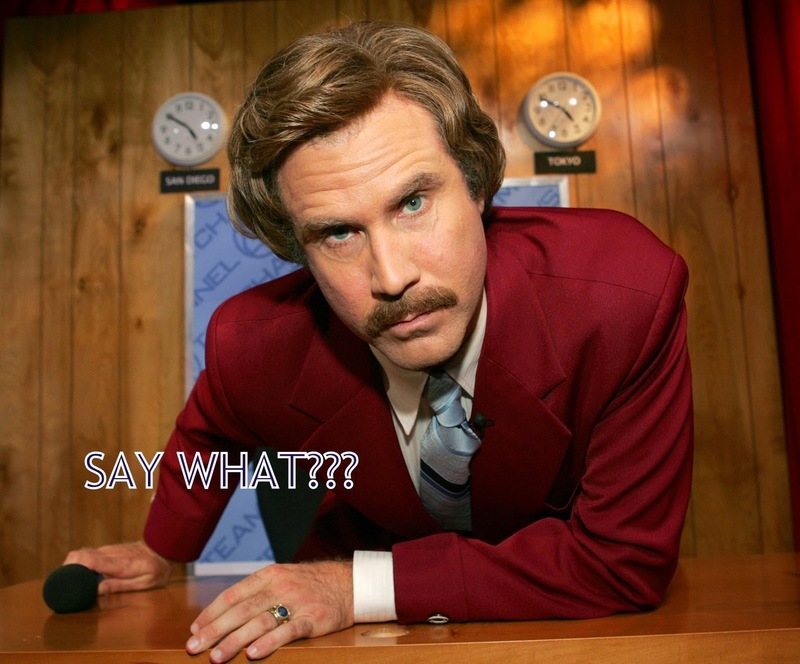 As usual, ancestry.com is not a good source for their English ancestry, so proceed with caution when you are looking at Thurston family trees online. There is also a website, http://www.thurston_family.tripod.com that will hijack your computer if you click on any of its links, so be careful. When I was gathering my material for this article I compared the wills of the four men side by side. I was really intrigued by the progressive accumulation of wealth, land and household items. Not every colonial family was so lucky. Fathers would divided their estate among their male sons, reducing the land holdings for each successive generation. The Thurstons were not dependent on farming for a living so were able to not only make a good living, they were able to increase their wealth through the acquisition of more land. So, here is what I know about the first Daniel Thurston who is not my direct ancestor, but probably an uncle. John Poore and Richard Dole. Brown Thurston included these letters in his second edition of Thurston Genealogies, published in 1892. He seemed to have changed his mind on the origins of Daniel Thurston, joining the Thornbury camp in suggesting that he was possible from that location. No possible parents were identified by either letter writer or Brown Thurston. An internet search for the name Daniel Thurston of Thornbury gave me a rather comical answer to the parental question. According to several sites the father of Daniel was Fadanbro Thurston. He, Fadanbro, also had a son he called Danbrofa. Fadanbro and Danbrofa, what the hell kinda names are those? (sorry, genealogical research sometimes gives me a potty mouth). Come on man, somebody is pulling our leg here, right? I mulled over these names for a while and finally realized what I was probably looking at. 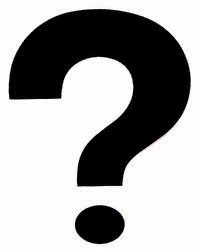 Some researcher was more than likely guessing at birth years for Daniel's father and brother and added some short hand generic names like fa(ther) of dan(iel) and his bro(ther). I do not believe that these are real names, so scratch them from your tree. Daniel's parents are unknown. Just as there is no record of Daniel's parents, there is no record of his arrival in the Massachusetts Bay Colony. We know that Newbury was first settled on the north shore of the Parker River in 1635, but on a map of the original house lots, based on the town land grants, there is no lot for Daniel Thurston. The first mention of Daniel is found in the Newbury town records when it was recorded that on "24 Nov 1638 there was granted unto Daniel Thurston an house lott on the neck over the great river, over four acres". Daniel was probably born about 1600 so he was about 38 years old when he got this land grant. He was also married, but nothing is known of this wife except her date of death; 25 May 1648. Daniel and his wife appear to have had no living children. They do seem to have been charged with raising Daniel's nephew and namesake Daniel Thurston, aka "The Kinsman". When first established, the Newbury meeting house was built close to the north side of Parker River, and most of the early homes seem to have been clustered around the meeting house green. Daniel Thurston's land was on the south side of the river on what was called the Newbury Neck. To get to the meeting house, for Sunday service and town meetings, he and the others living on the south side would have to take ferry across the river. On 12 March 1642 a committee chosen to "stint" the cow common gave their report to the town. Daniel Thurston was allowed a stint of 1 1/2. This was an old English way to divide a common. Stinting was a formula for the number of animals a man might have on the common. For instance, a horse might require 4 stints, a cow three, or a sheep one. No formula was recorded for the Newbury system, but 1 1/2 stints was a very small number compared to others in the town. Some time after 1642 the powers that be decided that they hadn't chosen the best spot for the town. They said there wasn't enough good plow land and their cow common was to far from the settlement. So, what to do? Pack up and move! The town center was to be moved from next to the Parker River to closer to the banks of the Merrimac River, several miles to the north. This was not universally popular and a group of men, including Daniel Thurston petitioned the court to remain where they were. They asked the General Court to allow them to keep one of the two ministers, establishing two churches in the town. The General Court said no. Several of the petitioners promptly left the town, but Daniel stayed, accepting a grant of 39 acres in the new town. The old town center remained in Newbury, but the new settlement eventually became Newburyport. The cow common is West Newbury. Daniel's unknown first wife died in May of 1648. The puritans had a strong dislike for "singles". Men and women functioned best when they were married. And, lets face it, life in 1648 was a slog made easier if there were two of you. Marriage was a business contract, hopefully you liked your partner, maybe you would grow to love them, but that was not your main concern. Daniel remarried a scant three months after his wife's demise. On 29 August 1648 Daniel married Mrs. Anne Lightfoot. She was the widow of Frances Lightfoot of Lynn. Frances wrote his will on 10 Dec 1646 and he died fairly soon after as it was proved on the 29th. His estate was small, only about 50 pounds and Anne did not get much out of it. That might explain why it took her awhile to get remarried. There was no mention of sons or daughters in his will, she may have been very happy to get remarried and have a stable family life. Daniel wrote his will on 20 June 1665. He died the following February. An inventory was done in March and the total of his estate was valued at 573 pounds. Ann was given a feather bed and pillow, her own box and chest, her own clothes, her own brass kettle, her own iron pot and ten pounds of goods. These "goods" were to be stuff such as corn, butter, cheese, etc. And she would have her "widow's thirds". This was one third of her husbands estate or income from the estate, for the remainder of her life, unless she married again. Her husband also gave her the option of living with his "kinsman" Daniel who would provide her with a "comfortable living" in meat, drink and clothes in lieu of the previous bequeath. All of his land, animals, goods, house and barn went to Daniel his nephew. A stark example of what's mine is mine, what's your's is mine. One day she lives in her own house with her things, the next, they belong to someone else. We don't know what she chose, but as she was an probably an elderly woman without children, I imagine she would have stuck it out with young Daniel. Ann died 17 Feb 1673. What stands out right away to me is the value of bedding, costing more that cows or horses. The beds were worth almost half of the value of the house and barn. Unlike later inventories, the household items are not broken down. He only had 60 acres of land, possibly because he had no sons to help him farm. The marsh land could have been the land he had on the Newbury neck. It would have been used to grow salt hay, which was used as feed for the animals. He obviously got more "stints" in the common, as he had a significant amount of animals. There was no retirement back, so Daniel probably worked until the day he took to his death bed. This Daniel has no descendants, he had no children. I am related to Daniel "the Kinsmans" Thurston. He was possible a nephew of this Daniel. Thurston, Brown. ... Thurston Genealogies. Portland, Me. : B. Thurston, and Hoyt, Fogg & Donham, 1880. Print. Dow, George Francis, and Mary G. Thresher. Records and Files of the Quarterly Courts of Essex County, Massachusetts. Salem, MA: Essex Institute, 1911. Print. Ulrich, Laurel Thatcher. Good Wives: Image and Reality in the Lives of Women in Northern New England, 1650-1750. New York, NY: Knopf, 1982. Print. Currier, John J. History of Newbury, Mass., 1635-1902. Boston: Damrell & Upham, 1902. Print. Coffin, Joshua, and Joseph Bartlett. 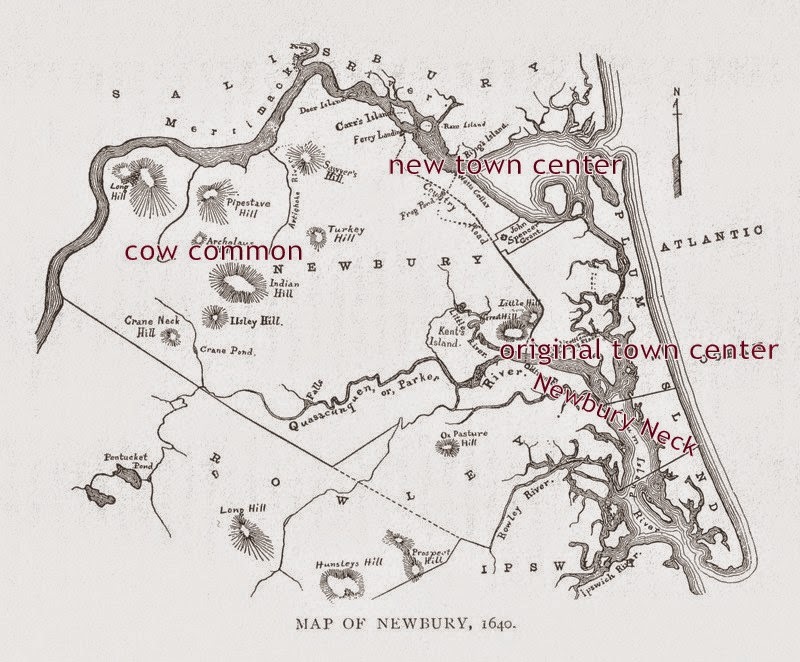 A Sketch of the History of Newbury, Newburyport, and West Newbury, from 1635 to 1845. Boston: S.G. Drake, 1845. Print. Herringshaw, Thomas William. Herringshaw's National Library of American Biography: Contains Thirty-five Thousand Biographies of the Acknowledged Leaders of Life and Thought of the United States; Illustrated with Three Thousand Vignette Portraits ... Chicago, IL: American' Association, 1909. Print.